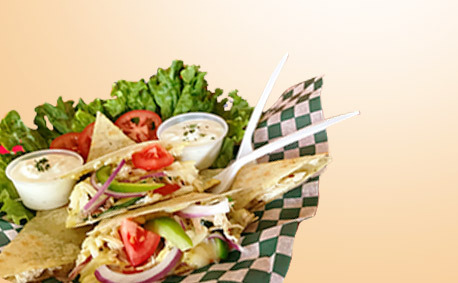 From heat to sweet, tease your taste buds with mouth-watering Midway food. Add an extra crunch to your grilled cheese! 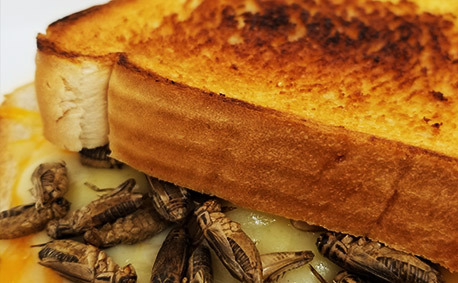 We dare you to try this delicacy made of our signature four-cheese blend on thick Texas-style toast, topped with a healthy serving of crunchy, tasty crickets. Get ready for some popping mini doughnut fun! 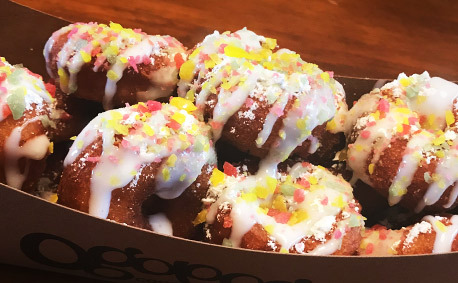 Our signature warm mini doughnuts are covered in a vanilla glaze and powdered sugar and then topped with a delicious assortment of Pop Rocks. Classic mini doughnut Bear Balls, topped with the balls of a bull—literally. 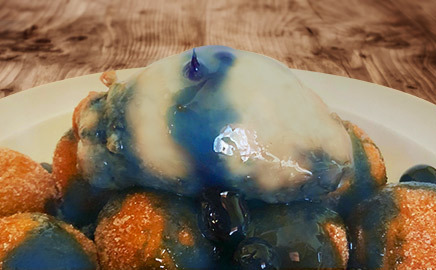 The Prairie Oyster Balls are then drizzled with house-prepared blueberry compote and topped with a dollop of whipped cream and sprinkled with crushed nuts. 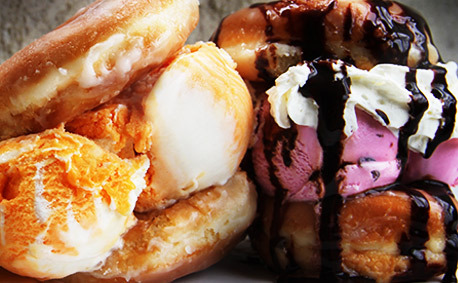 We’ve married fresh, hot doughnuts with smooth, creamy ice cream! The ultimate combination of hot and cold, delivered in mouthwatering style. Big Coco’s is taking their original Big Pickle Dog to the next level with the Big Pickle Tornado! It’s a large dill pickle sliced length-wise, filled with a hot dog and topped with a cheese and bacon drizzle. 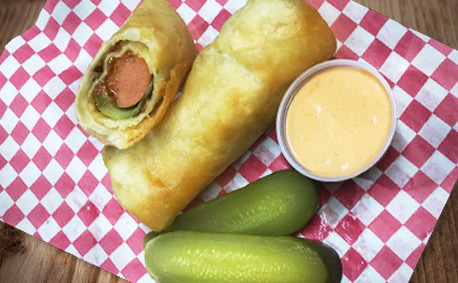 The Big Pickle Dog is then wrapped in a tortilla and deep fried to crispy perfection. 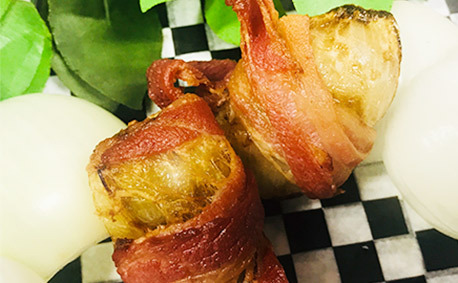 Two savoury meatballs wrapped inside a sliced onion and then wrapped again in bacon, all deep fried to perfection. Dare we say that this dish is…da bomb? 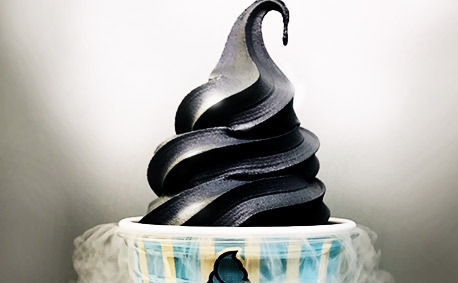 Coconut flavoured soft-serve ice cream, made from coconut husks, infused with black, activated charcoal. Served in either a cup or a cone! Warm, sweet little treats. 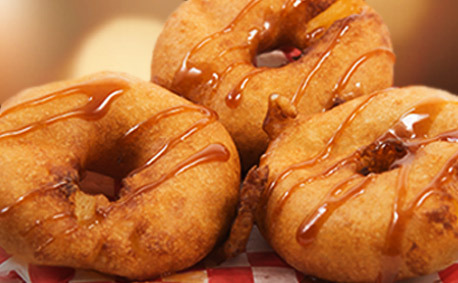 Three golden deep fried pineapple rings, served with warm caramel sauce. Sweet and simply delicious! Everything you could possibly want after a night out on the town. 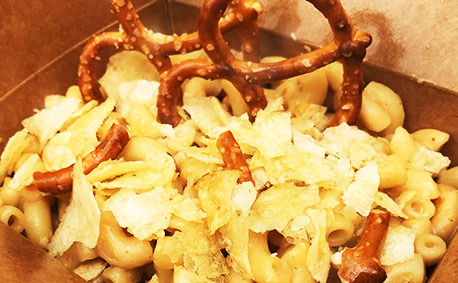 Classic, creamy and gourmet macaroni and cheese, blended with frothy beer and topped with smashed potato chips and pretzels. Slightly spicy, a little bit crispy on the outside and soft and delicious on the inside. We dare you to come out and try these Cheesy Chicken Hearts. A new level of fry society! 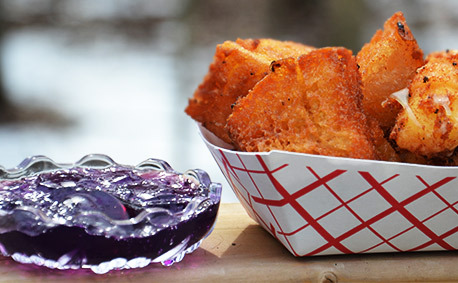 Wine-infused cake, deep fried into golden fun-sized bites, paired with its soulmate – fried squeaky cheese curds and wine jelly for dipping. 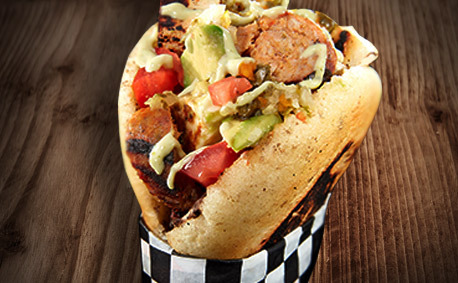 A corn-based wrap, stuffed with a heaping pile of spicy barbecued chicken chorizo sausage, grilled queso-duro cheese, avocado and tomato salsa and a tangy garlic mayonnaise sauce. Bonus: this menu item is gluten-free! 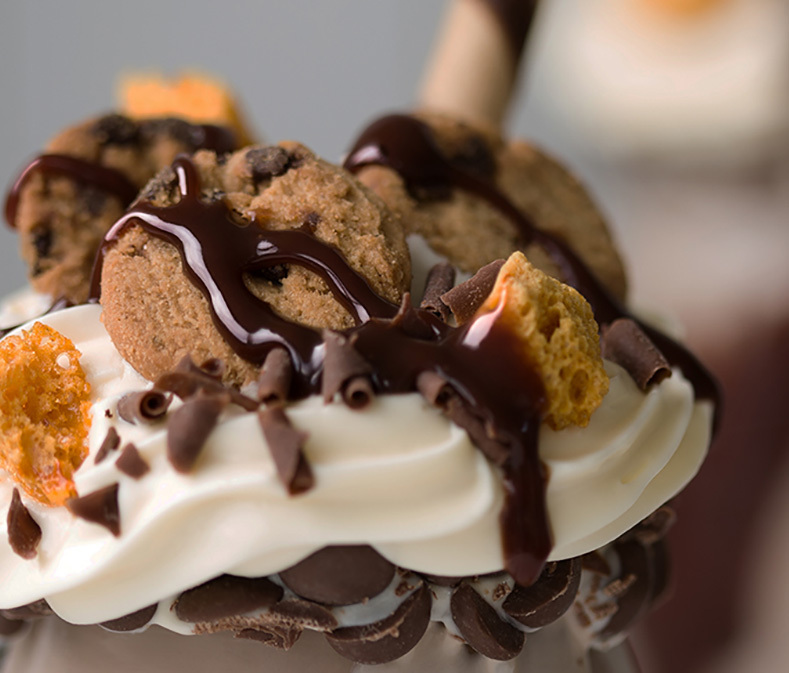 If a peanut butter cup is your favourite treat, then this one is for you! 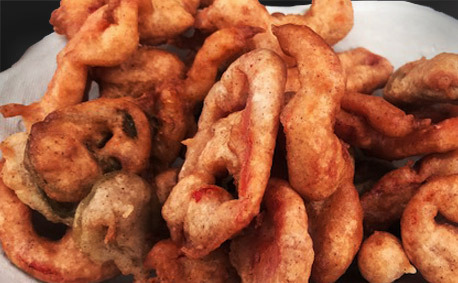 We’ve taken them to the next level by wrapping them in bacon, dipping them in batter, sending them off to the deep fryer and finishing them with a dusting of powdered sugar. Straight off the streets of Tokyo, cool down with an iced cold piece of watermelon filled with watermelon ice cream! 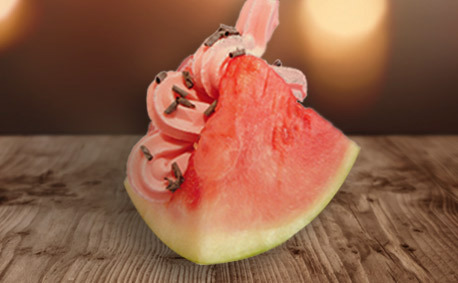 Every watermelon lover’s dream has come true. 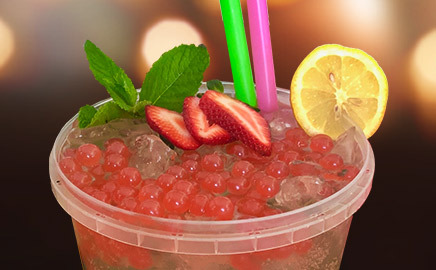 A soda and bubble tea fusion in a bucket! Your favourite soda, fresh chopped fruit, juicy boba and some extra tasty flavours to dazzle your taste buds in a two litre bucket. This cold, refreshing bucket will bring you back for more thirst-quenching delight! 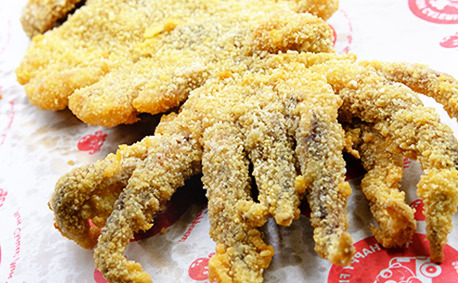 A giant squid, soaked in a seasoning bath for hours, breaded in a mixture of flour and spices and deep fried for maximum crunchiness. 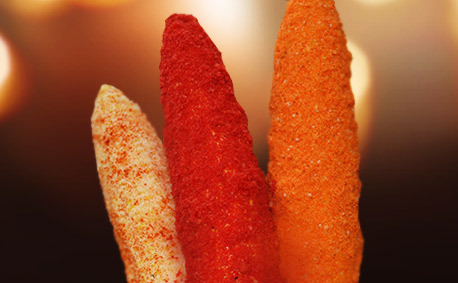 With your choice of salt and pepper or curry pepper seasoning, the Giant Squid on a Stick is a must try. Sweet, creepy, crawly and packed with protein! 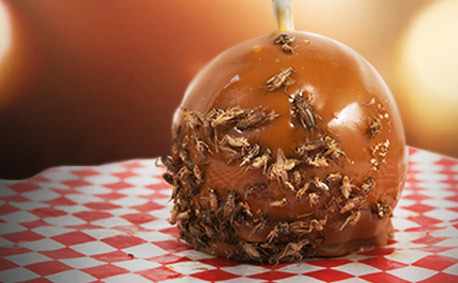 These honey-flavoured, oven-roasted crickets meet a classic caramel covered apple. Go on, try it! We dare you. 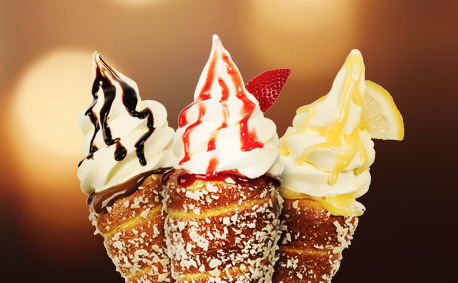 Chimney Cones are unique ice cream treats that put a delicious spin on traditional Chimney Cakes. Rolled by hand and baked fresh, Chimney Cones are coated with cinnamon sugar and filled with premium soft-serve vanilla ice cream. 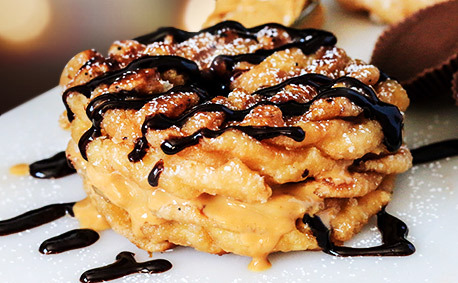 A classic peanut butter and honey sandwich pales in comparison to this treat. We’ve replaced the bread and honey with two honey cruller doughnuts, a mountain of peanut butter and a surprise peanut butter cup in the centre. 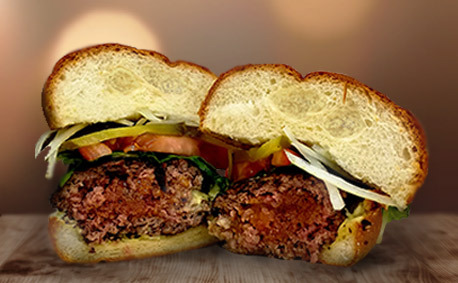 It’s then grilled to ooey-gooey goodness on the inside. Texas tater tots cooked to a golden crisp, garnished with kalbi marinated sirloin steak and fresh cilantro. Bringing a whole new flavour to the classic tater tot! 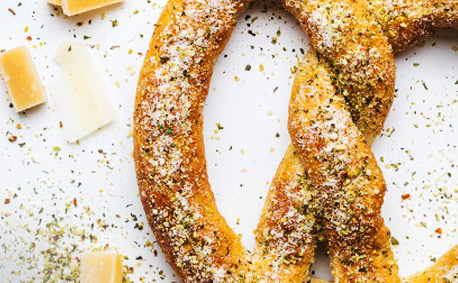 These pretzels are made from only the finest quality natural ingredients, with the dough prepared on the spot, hand-rolled right before your eyes. Freshness and taste guaranteed. 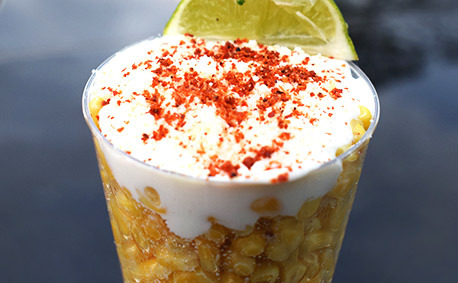 Roasted corn on the cob, brushed with Mexican crème, covered with a mixture of cheese, chili powder, garlic and cilantro, served with a lime wedge. 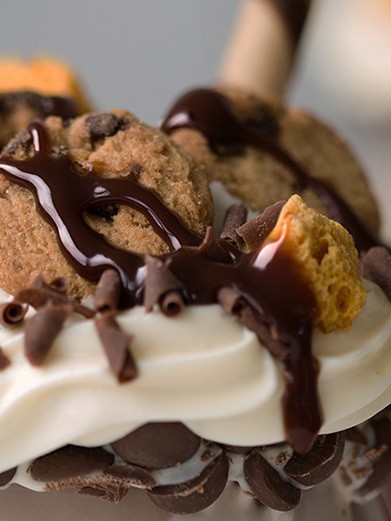 Two giant slabs of chocolate chip cookie dough with ice cream sandwiched in the middle. 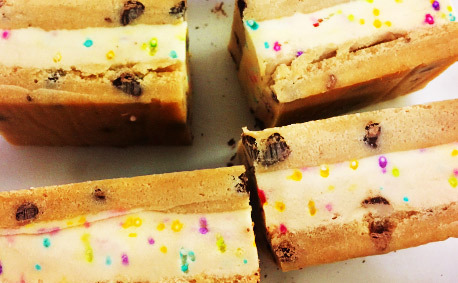 Cookie dough lovers unite! 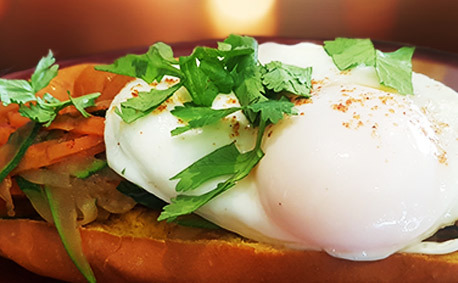 An all-beef hotdog, garnished with julienned carrots, shiitake mushrooms, zucchini, spinach, cucumber and green onions, topped with a fried egg and fresh coriander and Korean spices. 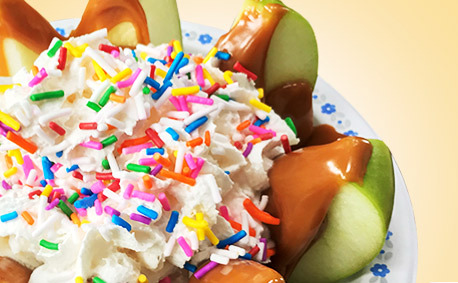 A crisp Granny Smith apple, sliced up, smothered in warm soft caramel, topped with whipped cream and your choice of M&Ms, sprinkles, Nerds, peanuts and Skor pieces! A fresh orange creamsicle smoothie served out of a large orange! 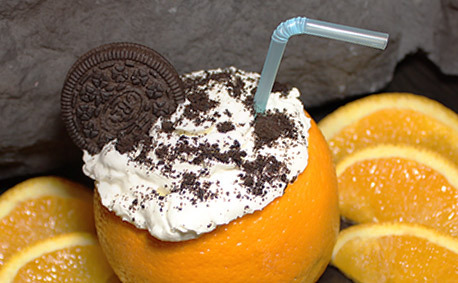 This delight is topped off with whipped cream and sprinkled with Oreos. This quenches not only your thirst but also your sweet tooth! Taking your Midway favourite to a new height! 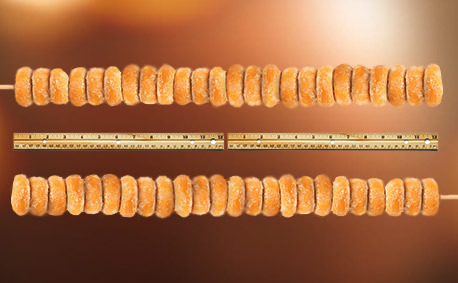 This two-foot skewer of classic cinnamon mini doughnuts, with about 24 mini doughnuts per order, can feed a small family! A lighter, healthier, but still super tasty, Midway treat! 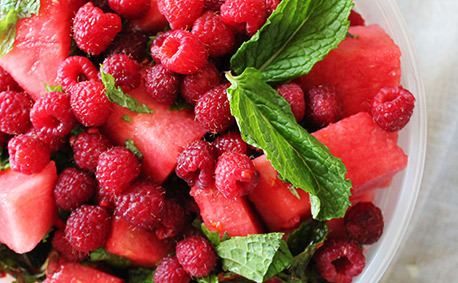 This dish combines fresh watermelon with British Columbia raspberries from the Arjuna Berry Farm. 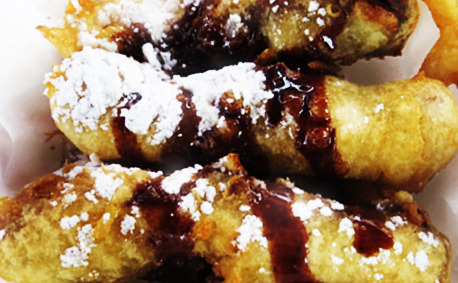 A chocolate bar classic, split into sticks, coated in batter and deep fried. How can something so simple be so sweet? Heat it up! 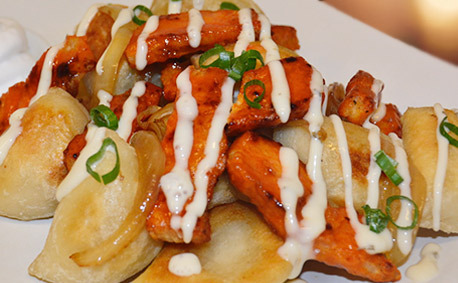 These mini perogies are topped with juicy grilled chicken tossed in hot sauce, sautéed onions, creamy ranch dressing and a sprinkle of green onions. 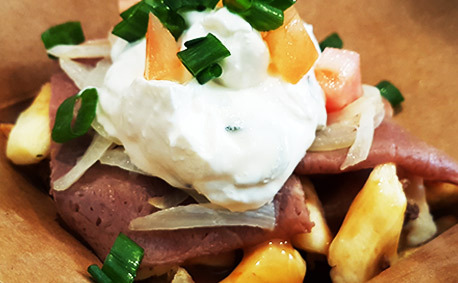 To cool things down, these perogies are paired with a side of sour cream. A sushi roll shaped like a doughnut, layered with slices of smoked salmon or crab meat, masago (fish roe), pickled radish, sesame seeds and avocado mayonnaise. 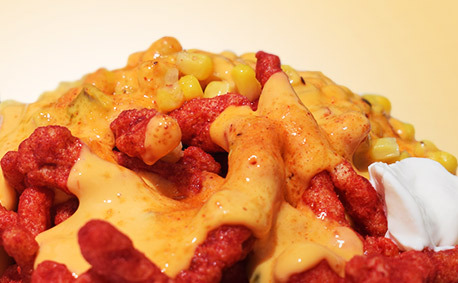 A bowl of Flaming Hot Cheetos, topped with sweet corn, smothered in hot cheese sauce and finished with a dab of sour cream to cool down the heat. Slow roasted Mediterranean-spiced chicken surrounded with fresh spinach, melting mozzarella and topped with signature mustard and served with a creamy, tangy garlic and cucumber dip. Avatara Pizza’s signature crust topped with vine-ripened, naturally sweet crushed tomato sauce, mozzarella cheese, organic basil, banana peppers, locally-grown mushrooms and cured kangaroo sausage. 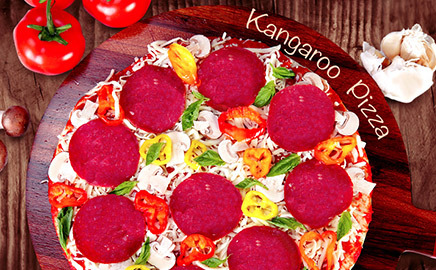 This pizza is bringing a new flavour to the Midway. 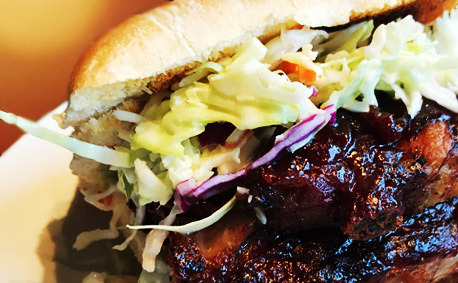 Succulent boneless baby back ribs slow cooked in Budweiser barbecue sauce, topped with creamy coleslaw and served on a fresh ciabatta bun. Classic churros in the shape of fries! 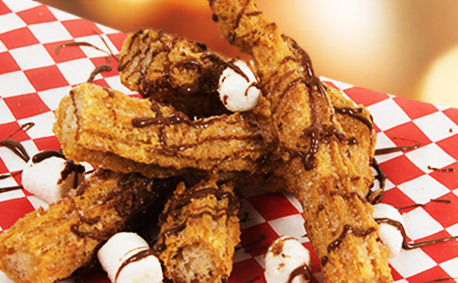 The churro fries are then dipped in chocolate and rolled in your favourite candy toppings. Fresh cut fries, real cheese curds and rich gravy, topped with Mediterranean-style gyro steak, caramelized onions, tzatziki sauce, diced tomato, green onion and feta cheese. Opa! Everything is bigger at the Stampede. 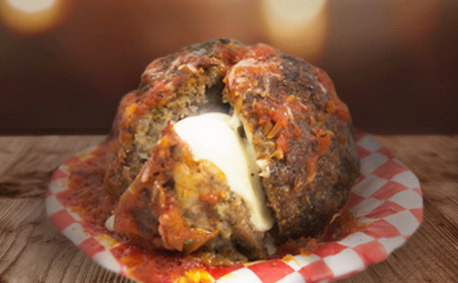 This gigantic one pound meatball is stuffed with mozzarella cheese and Nona’s secret tomato sauce. A true feast for your eyes and stomach! 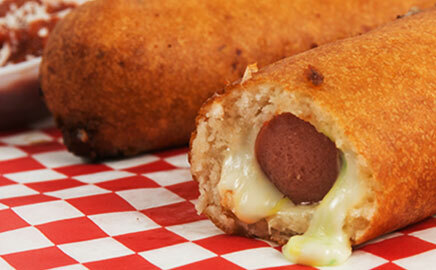 A twist on a Midway classic, this corndog is coated in a red velvet batter and deep fried. 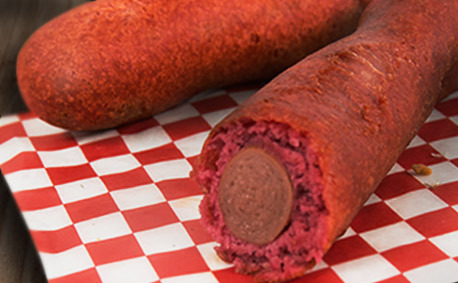 Something new, something bold, red velvet corndogs are here for one Stampede only. This hearty soup is packed with tripe, dumplings, carrots and yams all in a goat’s head broth, and is sure to thrill your taste buds. 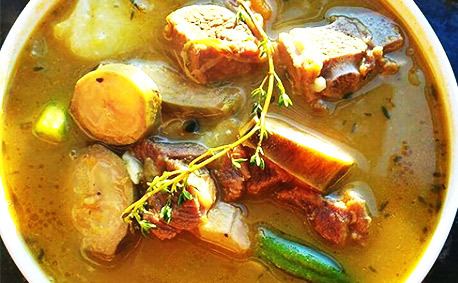 Traditionally known in Jamaican culture as Manish Water, this tasty soup is said to be able to heighten your senses. 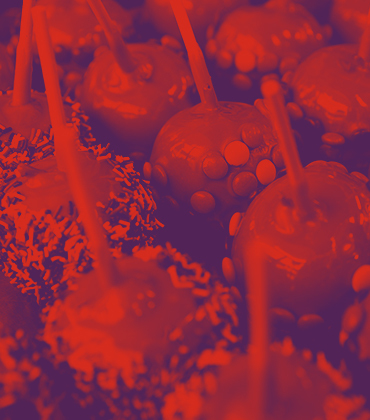 This year we're bringing back an often forgotten fair food group—fruit! 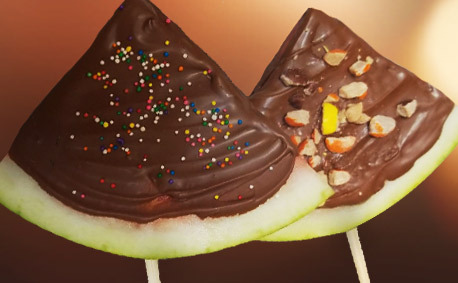 Fresh and delicious watermelon is put on a stick, dipped in 100 per cent milk chocolate, rolled in delicious candy and snack toppings, frozen then served. How do you make a cheese burger better? Deep fry it of course! 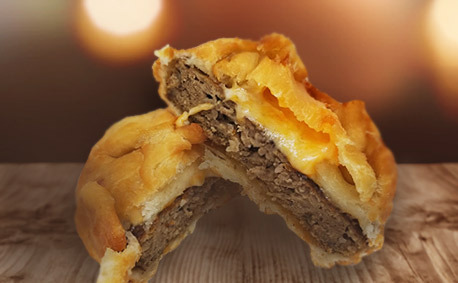 Your classic cheeseburger wrapped in dough and deep fried to a fluffy golden brown. 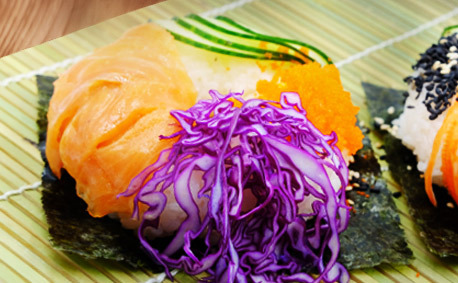 It’s an explosion of taste and texture all wrapped into one. 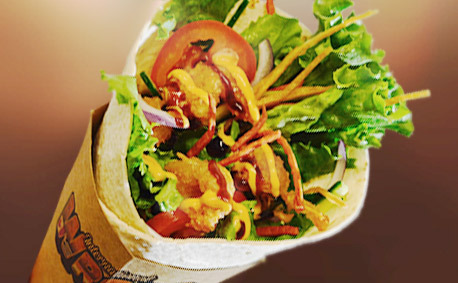 What do you get when you combine panko crusted prawns, lettuce, tomatoes, onion, cucumber, Szechwan sauce and Sriracha mayonnaise in a soft cone-shaped tortilla? The Szechwan Prawn Wrap! Start it off with a fork and finish it with your hands! 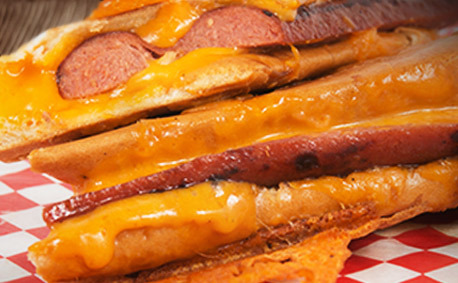 Our award winning, foot-long all-beef hotdog baked between a buttered bun and covered in four cheeses. No shortage of cheese here! Do you like Pho? Do you like burritos? 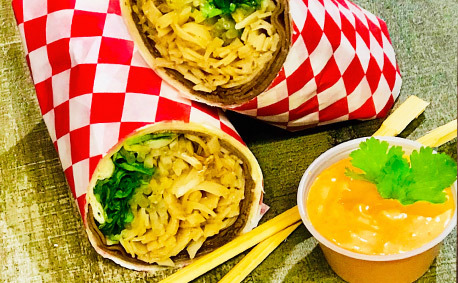 Introducing the Pho-rito! All of the contents of a delicious bowl of Vietnamese pho served up burrito style. Your choice of chicken or beef drenched in a slightly spicy secret pho sauce with tender rice noodles, crispy bean sprouts, fresh cilantro and a hint of Sriracha, all wrapped in a tortilla. Made just for the Calgary Stampede, this burger is stuffed with kangaroo meat and served fresh on a bun with all of your favourite fixins. 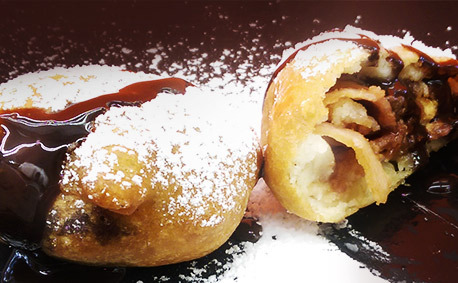 A fresh banana dipped in a homemade batter and cooked to perfection, served with powdered sugar and a drizzle of chocolate, sure to leave your mouth watering! Italian-spiced meatballs dipped in our homemade batter, deep fried and served with a drizzle of marinara sauce and fresh parmesan cheese. Roasted corn brushed with Mexican crème, covered with a mixture of cheese, chili powder, garlic and cilantro, served with a lime wedge. Don’t like to eat corn right off the cob? This one is served in a cup! 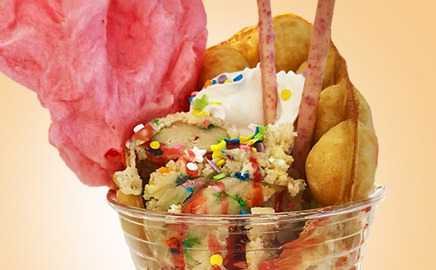 A Hong Kong-style street waffle filled with cookie dough with your choice of toppings, sprinkles and a mound of cotton candy. With whipped cream and Pocky sticks to top it off, this dish is great for sharing with a friend. While the plant may be prickly, this drink is refreshing, a little bit tart and definitely sweet! 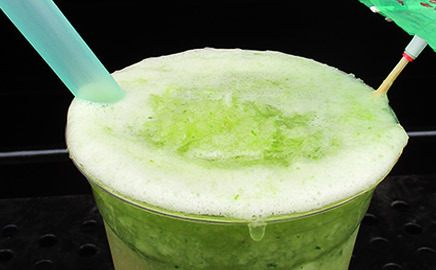 This Mexican treat, traditionally known as ‘Nopales’ juice, is the perfect way to cool off on the Stampede Midway. 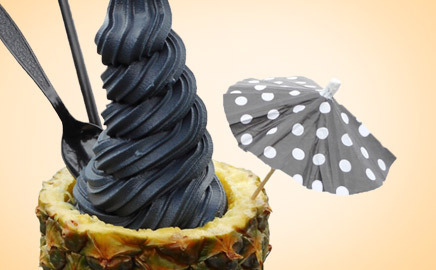 A twist on the hottest ice cream trend; black charcoal soft serve ice cream served right out of a fresh pineapple! Get ready to say cheese! A fresh, hot-off-the-grill cheeseburger, served with a side of melty cheese sauce for dipping. 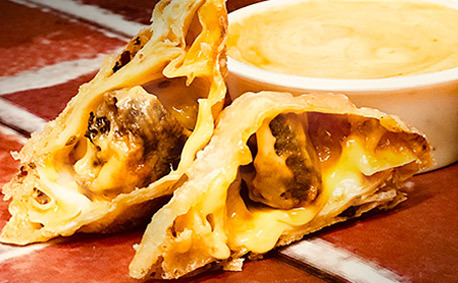 A truly cheesy explosion in your mouth. A sweet take on fusion cooking! 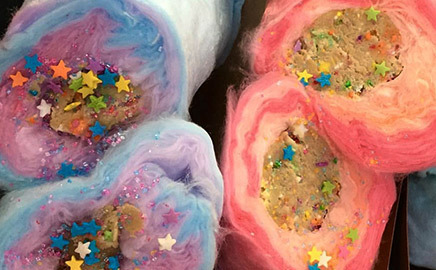 Edible cookie dough rolled in a sheet of freshly spun cotton candy, folded into burrito perfection and topped with sprinkles or chocolate chips. Fresh pressed lemonade meets cotton candy for added sweetness! 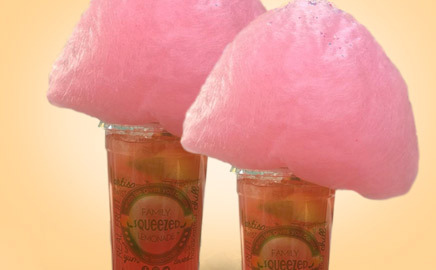 Now you can drink your lemonade and eat your cotton candy, all with one hand! 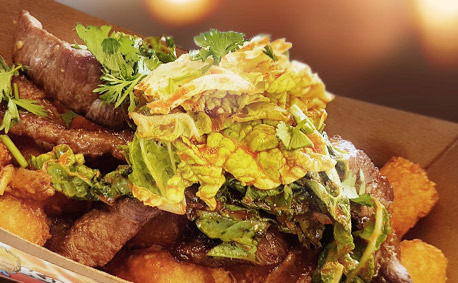 Order any internationally-inspired hot dog on the menu ‘fish and chips’ style and we will serve it to you inside of a perfectly cooked Tayaki Fish Cone, jammed full of chips and topped with a pickle, of course! 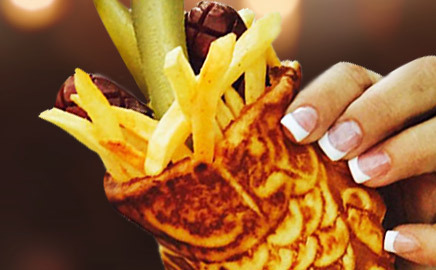 This unique grab n’ go style dog is a one-handed meal. Get ready for a grape overload! Fanta grape pop and a grape ice pop served in a grape candy rimmed cup. 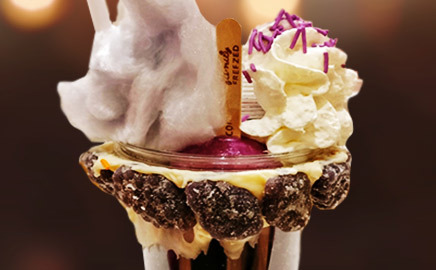 Topped with grape cotton candy and whipped cream, this grape float is Instagram ready. Step up your lemonade game! 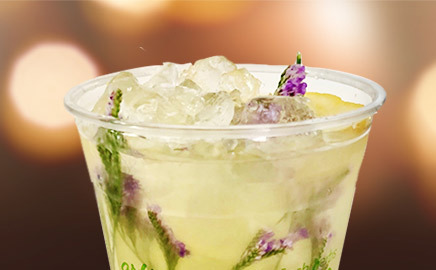 Classic, fresh-pressed lemonade infused with fresh lavender for a truly artisan sip of summer. Simple, sweet and floral. 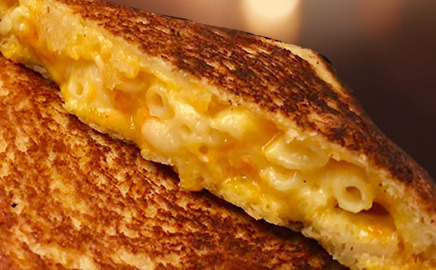 This is a Cowboy’s take on a grilled cheese sandwich. Enjoy gourmet campfire pies, made in cast iron presses over an open flame. This particular pie is stuffed with macaroni and cheese and Cheetos! This bowl is over-the-top and proud of it! 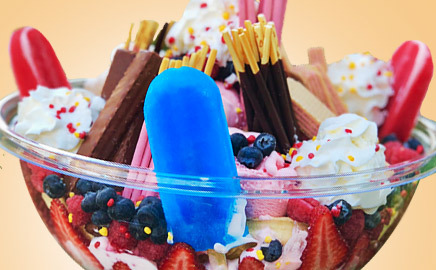 Filled with ice pops, ice cream, scoops of cookie dough, bubble waffles, candy, Pocky, pudding, whipped cream, cotton candy and sprinkles, the Family Bowl is a show stopper that’s ready to satisfy your entire squad! 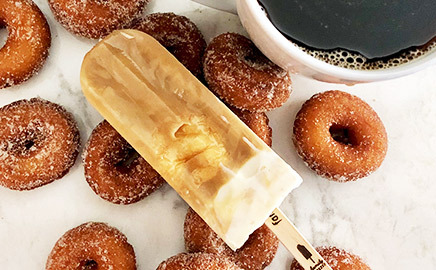 Iced dark roast coffee, sweetened condensed milk and your Stampede favourite mini doughnuts, frozen together in one tasty ice pop! 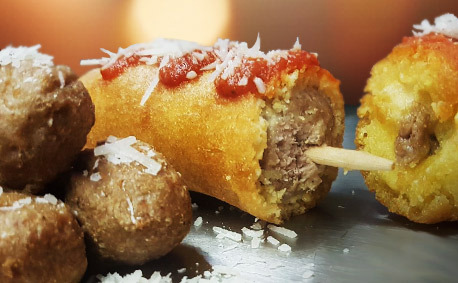 Now you don’t have to choose between pizza and corndogs—you can have both at the same time! 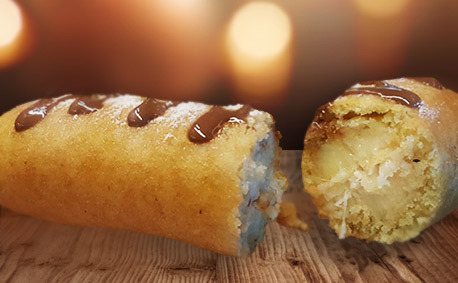 This corndog is filled with a hotdog, mozzarella cheese, Italian herbs and spices, and is coated in batter and fried until golden and gooey. Served with a side of homemade pizza sauce for dipping, this corndog is sure to satisfy your cravings.